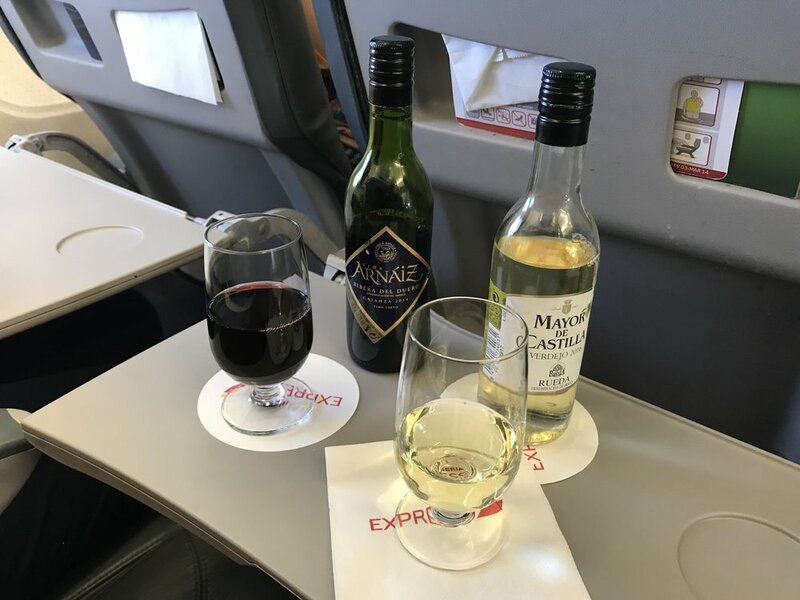 Review: Never thought I'd say this, but Iberia's Euro-style business class is worth it (sometimes). I never thought I'd say this, but I've determined that Iberia's European-style business class is worth a few extra euros on a flight -- we'll say -- longer than two hours. I actually flew the service twice this fall, once from Arrecife (on Lanzarote, in the Canary Islands) to Madrid, and then about a month later from Madrid to Stockholm, Sweden. The service was consistent between both flights, though my discussion here focuses on the first. This is our review. Hilariously, I've read stories from other travelers about boarding the plane, realizing that their "business class" seat assignment has them sitting on the back end of the mystical curtain, and the flight attendants correcting this by simply sliding the curtain back a row. Voila! You're now seated in the fancy business class cabin. Joking aside, the primary value to me is in the space. Iberia has packed the seats into these domestic / intra-European Airbus planes in a way that would even make American Airlines blush. They're ultra-thin profile (so very little padding), incredibly narrow (more space in the aisle, at least?) and feel so close to the row in front. Call it the grand strategy of International Airlines Group (IAG), Iberia's parent company, for a similar phenomenon is at work making British Airways international economy as uncomfortable as possible. All the better to induce us to shell out for business class, right? While we're not sitting in big chairs a la the North American style, the absence of a passenger in the middle seat is a game changer. I'm not sharing an armrest smaller than a skinny tie with a random stranger, Meghan and I have a place to build a little in-flight pile of laptops and iPads, the middle tray table plays excellent host to our wine, and the extra under seat storage in the center makes for better stretching out on the sides. The food is also a win. 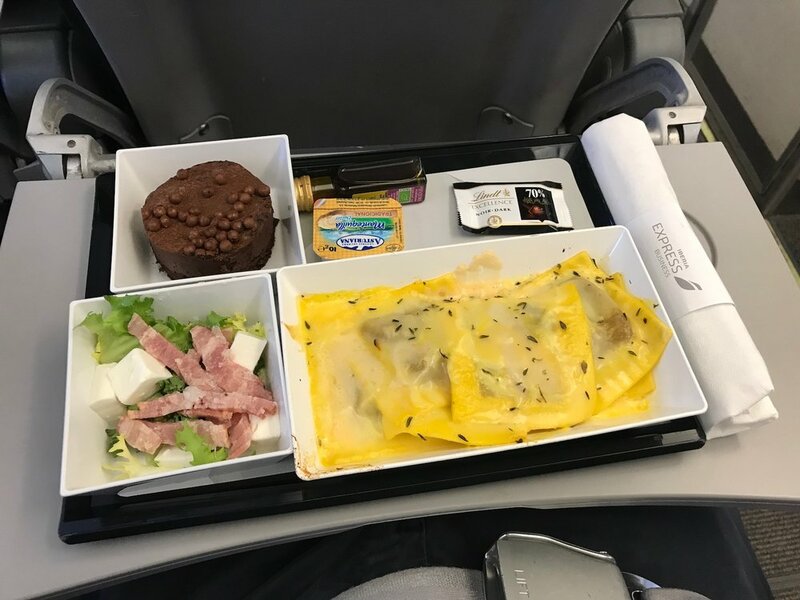 While I generally find even the intra-European economy lunches to outclass the same on the U.S. carriers, the hot lunch of purple potato-stuffed ravioli, unremarkable salad (nobody does this well), chocolate torte, and wine that is -- while not spectacular -- better than any airplane wine I've had out of international business or first class all together made for the best airplane lunch I've had in a long time. I chose the Rueda as my white wine, while Meghan chose the Ribera del Duero as her red. In practice, I can't think of routes I'd choose to pay for Iberia intra-European business class aside from those to the Canary Islands and those to other countries in Europe. Point-to-point flights on the Iberia Peninsula are hardly long enough to justify the cost, and frankly far less convenient than the train (unless one is headed to Portugal). I might not even do it on a route to France. Again, two hours (and/or a strong desire to get some sleep) are my threshold. That said, if it meets those criteria, you might just find European-style business class on Iberia to be worth it. I certainly have. 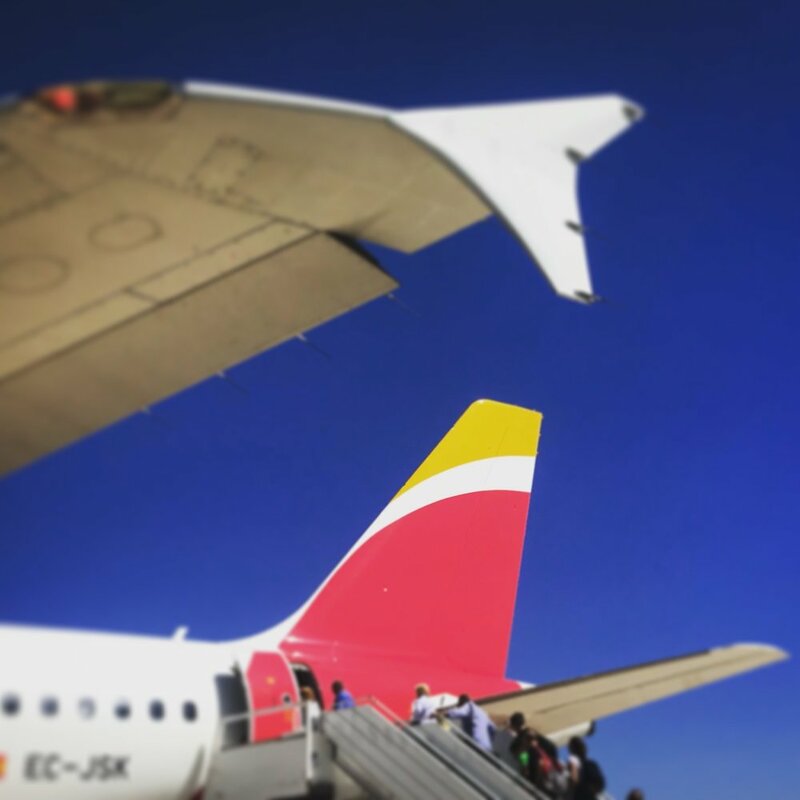 What are your impressions of European-style business class Iberia, or any other airline?